Currently, Hong Kong is the absolute best option out there for a multi-currency corporate account (16 different currencies), with internet banking at one of the largest banks in the world, in one of the world’s premier and largest offshore banking jurisdictions. Only Hong Kong Private Limited Companies are eligible. The Hong Kong Private Limited Company formation offered by Offshore-Protection.com is a private corporation limited by shares. This is the most popular form of incorporation in Hong Kong. This type of company is an appropriate vehicle for a business that desires to limit its liability, seek solely private funding, and produce financial returns for its shareholders. Hong Kong offshore companies benefit from the jurisdiction not being on the list of worldwide 'tax havens', thereby avoiding potential complications from authorities. Offshore companies also benefit from a politically stable environment, a free port, free flow of capital and a freely convertible HK dollar, in a jurisdiction being ranked the freest economy in world for the 20th consecutive year. Since the British handover in 1997, Hong Kong has become the gateway into China and with the development of the Closer Economic Partnership Arrangement (CEPA) economic and trade relations will continue to tighten. The new CEPA arrangement offers preferential access to China’s markets, adding another reason why international businesses choose Hong Kong as a their base of operations. 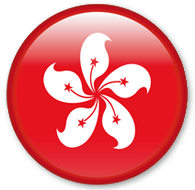 Honk Kong is one of the most popular formation jurisdictions due to the city being an international center of information exchange, finance and trade. It is the third largest financial center in the world and the largest in South East Asia. Since the inception of Hong Kong’s offshore sector, it has had over a million companies incorporate, thanks in part by its regulatory environment and competitive tax system. For more information on the Advantages of Hong Kong as an Offshore Financial Center, click here. Hong Kong is major trading entity in its own right and is one of the largest importer and exporter centers in the world. 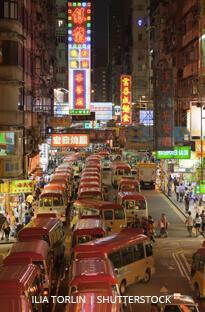 Hong Kong incorporates more companies per annum than any other jurisdiction (about 50,000 each year). The vast majority of Hong Kong companies are conducting real trade business in the region, and do not serve as asset protection companies or vehicles, making HK more credible than other tax havens. Hong Kong is a well-known and respected jurisdiction that is not blacklisted anywhere. Forming a Hong Kong company through our special service allows you to obtain an account in Hong Kong with one of the largest financial institutions in the world without the usual requirement of reference letters of any type. 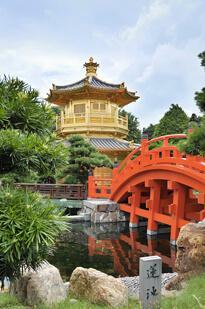 A Hong Kong company is an essential element of doing almost any type of business in Mainland China. Hong Kong is a PayPal-approved jurisdiction and one of very few no-tax jurisdictions where it is possible to have an unrestricted PayPal account. (The only other two jurisdictions where this is possible are Cyprus and Gibraltar). World-class multi-currency banking is available with some of the largest international banks in the world. Good banking secrecy. The company can be anonymous if you use our nominee director/shareholder services or set up a foundation to own all the shares in the company. English is the main business and banking language. However, a Hong Kong-based Offshore Company cannot undertake any business in the banking or insurance sectors unless the relevant licenses are obtained. 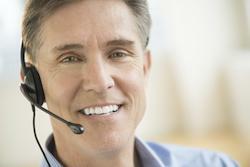 Join thousands of satisfied clients who have experienced the Offshore-Protection advantage for more than 18 years. When you purchase any offshore company formation product from us, you'll get FREE support from our lawyers to help answer your overseas company day-to-day management questions. 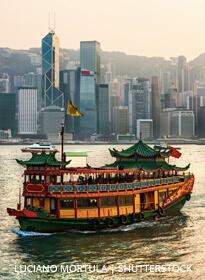 Start the Hong Kong Incorporation process with Offshore-Protection today. Order a Hong Kong Company with or without a bank account. Click on the LET'S GET STARTED button below. Three proposed company names in order of priority. The proposed company name can be of English or Chinese only or both. If a Hong Kong company’s trading or business activities are based outside Hong Kong, no income taxation will be levied in Hong Kong. Hong Kong companies with Hong Kong-sourced income currently pay a rate of taxation on profits of 16.5%. Panama has a similar territorial taxation system. Both Chinese and English are used in business and either one of the two languages can be used. The official languages are English and Chinese, with English being used in the commercial and political sectors. Building society, Chamber of Commerce, chartered, co-operative, mass transit, municipal, savings, tourist association, trust, trustee, underground railway, bank, insurance, assurance, reinsurance, department. The particulars of the shareholder(s) are available to the general public. Using a nominee service or a foundation to hold the share(s) can preserve anonymity. The standard authorized share capital is HKD10,000. The minimum issued capital is one share of HKD1 each. Ordinary shares, preference shares, redeemable shares and shares with or without voting rights. Company incorporated in Hong Kong is not allowed to issue bearer shares. However, utilizing nominee services, setting up an offshore IBC or foundation to hold the share(s) can achieve privacy. 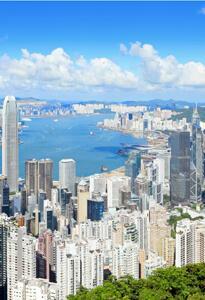 Hong Kong companies are required to prepare full audited accounts under the company laws. Also, a copy of the audited financial statements is to be furnished with Inland Revenue Department together with Profits Tax Return. The audited financial statements are not available to the public or to the foreign authorities except those of a listed company. A minimum number of one (1) director is required and full details of these must be filed with the Companies Registry and are available for public inspection. The director(s) can be of any nationality and be resident anywhere. Corporate nominee directors are permitted. Every private Hong Kong limited company must appoint a company secretary, who may be an individual or a corporate entity, but the company secretary must reside in Hong Kong; if a corporate entity acts as company secretary, it must have a place of establishment in Hong Kong. A minimum number of (1) one shareholder is required whose details are filed on the Companies Registry and are available for public inspection. Corporate shareholders are permitted and anonymity can be achieved by the use of nominee shareholders or offshore IBC holding company or foundation. 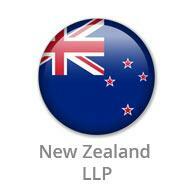 The shareholder(s) can be of any nationality and be resident anywhere in the world. Annual maintenance fee is estimated is at US $1,200, which covers annual filing fee, annual company secretary fee, annual business registration fee and annual registered office fee. In addition to the above there is the statutory audit fee, which for most situations will be US$700. An exact quote can be provided if operations are extensive, complex or if there are local operations to consider. Once a bank account is pre-approved, our client must physically be present to sign the documents at the bank in Hong Kong. Hong Kong has Double Taxation Avoidance Agreements (DTC’s) with: Austria, Belgium, Brunei Darussalam, Canada, China, Czech Republic, France, Guernsey, Hungary, Indonesia, Ireland, Italy, Japan, Jersey, Kuwait, Liechtenstein, Luxembourg, Malaysia, Malta, Mexico, Netherlands, New Zealand, Portugal, Qatar, Spain, Switzerland, Thailand, United Kingdom, and Vietnam.